It's Marvelous Middle Grade Monday at Ramblings of a Wannabe Scribe and #IMWAYR day at Teach Mentor Texts and Unleashing Readers. It's also Nonfiction Monday. Harrison, Vashti. 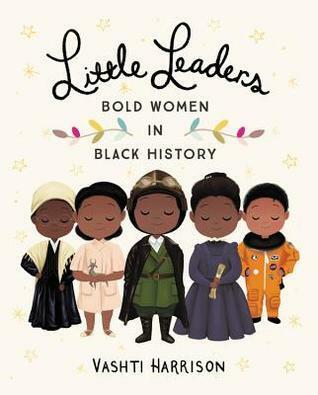 Little Leaders: Bold Women in Black History. Arranged in order of when the women were born, this book gives a good summary of forty women in a variety of fields, accompanied by an attractive illustration. I found it interesting that the project started with these illustrations being created for social media during Black History Month. It was nice that some of the women were ones that many students would have heard about, but others were more obscure. The summaries include just enough information to be read as a bedtime story or to a school class, and will pique readers' interest in finding out more information about these women of achievement. I enjoyed this a lot, and have only two minor quibbles-- the downcast eyes on the illustrations don't really say "bold" to me, and the bibliography is lacking. A list of sources consulted would have helped when readers wanted more information. Morrigan Crow has a miserable existence in Greater Jalfax, with a cold, uncaring politician father, a stepmother who ignores her, and a curse upon her head that not only makes her suspect when anything at all goes wrong in the town, but also will lead to her death before she turns 12. Her last public appearance with her father is odd. Other children get tapped for apprenticeships, but cursed children don't. The fact that she is given notes for several is just a cruel joke, so she brushes off the application From Jupiter North for the Wundrous Society. When Eventide comes, she and her family are preparing for her death when North appears and whisks her off to another world to reside in the Hotel Deucalion. The rules are different here, and in order to be accepted by the Wundrous Society, Morrigan must pass four trials. With the help of Jack, North's nephew, Morrigan does her best. Even if she is accepted with no knack whatsoever, what will the future hold for her? Is she really beyond the reach of the sinister forces of her world, and what is her role in the new one? Strengths: The author has successfully parsed the attractive elements of Harry Potter. Maligned protagonist in search of welcoming community. Trials to undergo. Quirky fantasy world with interesting methods of transportation and novel foods. Morrigan is a bit unsure of herself and what her place in the world is, but is just relieved that she no longer lives under the stairs a horrible curse. Weaknesses: This comes in at 640 pages, and is the start of a series. Oof. The cover could be a lot better. Also, I could have used more explanation of the two worlds and why they aren't well known to each other. Plus more information about why Morrigan was cursed and what Eventide really was. What I really think: Not my cup of tea, but I can see this appealing to readers of weighty fantasy tomes like Bell's The Crooked Sixpence and Black's The Iron Trial. Two great shares and reviews today. Would love to read them both! 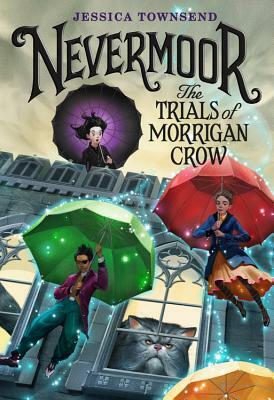 The Trials of Morrigan Crow (Nevermoor) intrigues me, and I like the cover! Little Leaders will jump to the top of my list. Looking for great black history months books. Thanks! Nevermore sounds interesting. I will definitely look for Little Leaders. I have heard a lot of buzz about Little Leaders. Glad to have read your review! Nevermoor was on my TBR list, but when I saw it at the bookstore and realized how many pages it is I moved it down on the list. You always feature such good books. I don't know how you find the time to read so many! You're right about the downcast eyes - boldness looks the reader straight in the face. Great observation - will definitely try to find that title. I'm so excited for that Little Leaders book - I really appreciate titles that try to include less well known figures.